We have been trying to make clothing taking advantage of the beauty of kimonos with high quality material for a long time. We would love to show ladies around the world how beautiful Japanese kimono materials are. It has special complex Japanese patterns, motifs of the 4 distinct seasons, and amazing colors. We would like to start sending a message to the women of Islam who account for 1/4 of women in the world. 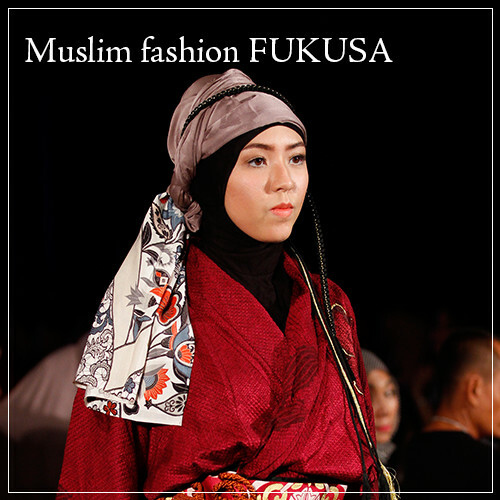 We will use weaving, dying, and stitching skills to send Japanese beauty to Muslim people through fashion. We at Fukusa have been bringing kimonos back to life by reusing them to produce modern clothes. You can see our concept ambitions here. We would love so many women to wear clothes made of beautiful kimono materials. This simple concept led us to introduce these reasonably priced dresses.